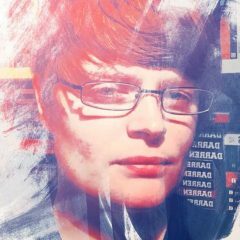 Web Design education, or even education in it’s entirety seems to be getting a lot of bad press recently from the web design community. This is a one sided view point that I feel should be remedied and so I propose to give you my side of things from the students perspective. I’m currently studying FdA Web Design. Before this course I was teaching myself Web Design using online tutorials. Web Design to me just seemed like a never ending subject and no matter how much I learned, I found something else that I needed to know. It was difficult to learn something with no direction and no foundation so I opted to look into online courses. This was a bad experience as most of these courses concentrate on outdated technologies. Could this be where all the bad press is coming from? Eventually I found a course that seemed ideal. So now I am a full time student of seven months. I have learned more in the last couple of months than I did on my own in over two years. I’ve got to know some incredible people on the course who all firmly believe education is something to be taken seriously. All of us value our course and I am going to try and explain why. The FdA Web Design course in Wakefield builds you up step by step, taking you through typography, wire-framing, colour theory, screen designs right the way to XHTML and CSS. This is only the first year and it isn’t over yet. The style of teaching is unique in the way that certain subjects are taught by experienced tutors who know the industry well. We have workshops and lectures for subjects that require more thought, and have a dedicated industry professional for XHTML and CSS but also a tutor that has grown the course steadily over the last 12 years. Next year we will have access to a wide range of live commercial projects. This input I feel is valuable to a budding web designer as all too often we are left unequipped to deal with clients so this is something education can provide in a safe environment. We are touching on designing for print so it’s back to the basics again but taking what we have already learned about design and creating for a brief that is relevant. It isn’t just the fundamentals of web design that we are being taught, it’s how to manage different people and how to handle a range of creative briefs which is something I personally wouldn’t have learnt otherwise. Everything we are being taught is industry standard, relevant and most importantly, current. I’m not saying education is the only way. I’m saying it’s my way. From the range of articles saying that Web Design education must change I can only see that they are obtaining information from personal experience or from sources that are out dated, not all courses should be seen as such and it is unfair to blast all educators teaching Web Design without looking for solid alternatives. That’s all I had to do and it has benefited me massively. Something else education has given us, is access to industry professionals who are on hand to help us by answering questions and coming in for workshops, lectures and talks. Without joining this course, we wouldn’t have been able to do this. These people come in to us willingly to help, giving up their spare time for free. How many professionals do that these days? We seem to have created our own community which is expanding rapidly. All too often well known web designers carry out talks and create online communities but we have nothing out there that provides beginners with the confidence to keep going. That’s why I value this course so much, I am free to make my mistakes and to make them again without the fear of being judged by the wider community. Education allows you the freedom to hone your skills without the unnecessary backlash of making a mistake. Of course this is my own perspective but final year students mirror my experience of trying to become self-taught and realising you need a firm beginning. The course I am currently taking has taught me so much about the industry that I can’t see me being able to learn that on the job. The fact that ex-students who have created their own businesses still come in five years after leaving the course, suggests that the course is steering in the right direction. What concerns me is that people in the wider community seem to be concerned with Education, what I don’t see is anyone offering a solution to help. Why not give up an hour of your time to teach? Why not source out Web Design courses and see for yourself what is really on offer? 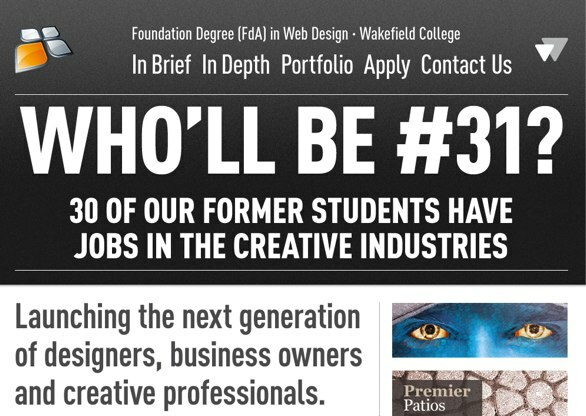 At the moment over half of final year students have already guaranteed their future employment in Web Design. The course isn’t even over yet. My point is simple, we have students who are happy with the course and who have gone on to get fantastic jobs and create exciting new start-ups. We come from a variety of backgrounds but have formed a community. We don’t expect everyone to believe our course is perfect but we are open to suggestions of what perfect might be. I know from the back of this course I will be able to find a job I love and start my career. Education sets you up, gives you a beginning and a starting point. All you need of course, is to find the right College or University.